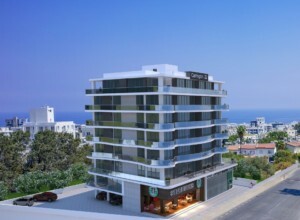 Superbly situated in a absolutely available location in the heart of Kyrenia, Carrington 22 complex is proudly rank as one of the finest residences in Kyrenia. Luxury spacious two bedroom apartments in prestigious complex are situated in the center of town overlooking panoramic views. New standards in exclusivity and luxury, combining first class facilities with timeless appeal are found at this development. All local amenities are within walking distances, such as: Restaurants, Café, Open-market, Bowling, Bus-stop and Old Harbor.